We are out of town and can't do a stylin Sunday so here is one from last year. I can't believe how much Brody has grown this last year! Oh he is so stinkin' cute!! They do grow too fast! 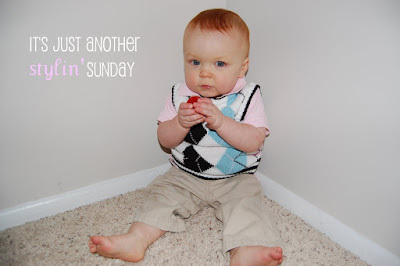 I want to keep my boy in little sweater vests forever!